Before moving on to the examination of Scripture, I would like to discuss some elements of historical fallacies. To study an issue, one needs to remember that a question must be framed properly. If it is framed wrong, then a person may find evidence to appeal to their claim, but that doesn’t mean the framed question is accurate to begin with. For example, asking the question “Was Peter the first Pope?” is the wrong way of framing the question. If one believes it, one looks for evidence to show the answer in the affirmative. If one does not believe it, one looks for evidence to disprove it. Each side grows frustrated with the other side and assumes they are acting from ignorance or obstinacy. A better question would be, “What was the role of Peter in the early Church?” This is a question which can be answered by the data of scripture and of history of the earliest Christians. We can look at it and see whether Peter played a significant role, a minor role, or something in between. We can see whether the Patristic writings speak of Peter as insignificant or important for example. (1.) Peter’s answer to this question, v. 16. To the former question concerning the opinion others had of Christ, several of the disciples answered, according as they had heard people talk; but to this Peter answers in the name of all the rest, they all consenting to it, and concurring in it. Peter’s temper led him to be forward in speaking upon all such occasions, and sometimes he spoke well, sometimes amiss; in all companies there are found some warm, bold men, to whom a precedency of speech falls of course; Peter was such a one: yet we find other of the apostles sometimes speaking as the mouth of the rest; as John (Mk. 9:38), Thomas, Philip, and Jude, Jn. 14:5, 8, 22. So that this is far from being a proof of such primacy and superiority of Peter above the rest of the apostles, as the church of Rome ascribes to him. They will needs advance him to be a judge, when the utmost they can make of him, is, that he was but foreman of the jury, to speak for the rest, and that only pro hâc vice—for this once; not the perpetual dictator or speaker of the house, only chairman upon this occasion. Now, that other apostles had a role in speaking on some issues is not denied. The question is whether or not his examples are relevant for this section of Scripture prove Peter was not the head of the Apostles. 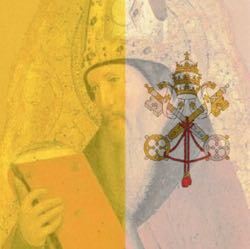 Henry’s examples do not answer the question, “What was the role of Peter?” Rather these examples seek to give a negative answer to the question “Was Peter Pope?” in the sense of the papacy at the time Henry knew it. Third, we need to be aware of biased language. If I speak of “Idiot Protestants” and “Insightful Catholics” this could be considered a clue that my investigations in the matter were not entirely free of bias. (To put it mildly!) Now of course, I am a Catholic because I believe the Catholic teaching to be true. I know there are those outside the Catholic Church because they do not believe it to be true, and in such a dispute it is searching for the truth which matters, not the exchange of insults or ad hominems. However, we do need to be aware of “charged” language which does seek to take the reader to a conclusion based on the choice of words. Mentioning Peter’s temper and terms like “perpetual dictator” are terms calculated to create a negative view of primacy for Peter, and thus be predisposed to reject it. In order to reduce the risk of bias (and let’s face it, Christians do have a vested interest in the truth about the primacy of Peter, and the result we believe is true is not agreed on by all Christians), we need to be aware of these issues, and seek to recognize how we are to keep them from hindering our search for the truth, and not assume that what we believe ought to be apparent to all.